I am very excited to say that we now have 44 camping members, which is wonderful considering that we only launched three months ago! If you haven’t joined yet, then what are you waiting for? You’ve still got a chance to get the earlybird offer for the first 100 members of only £10 to join. >We also have 11 wonderful, inspiring locations spread across England and Wales from working farms in mid Wales to riverside woods and permaculture smallholdings. 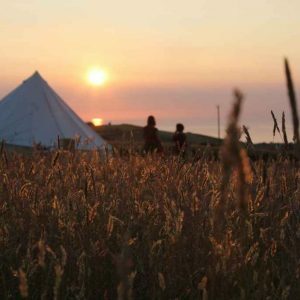 They are offering experiences from fossil hunting to delicious meals grown on site, campfire evenings to journeys through time, nature and place. And there are lots of other locations who have been in touch and are hopefully joining up soon! We have also been busy telling everyone what we are up to. 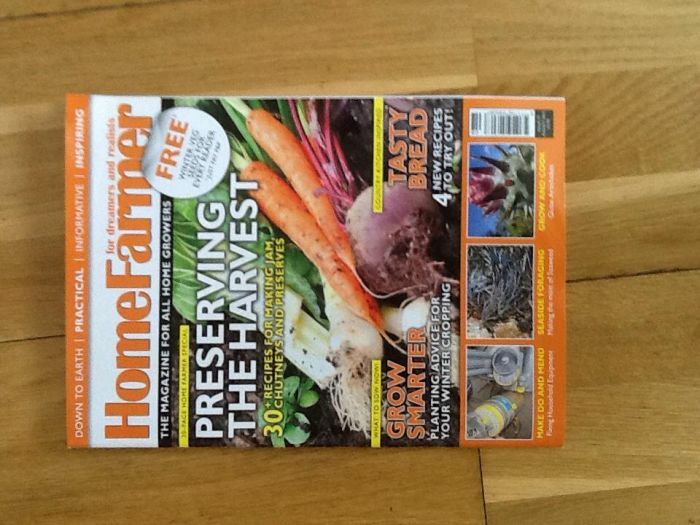 Did you spot the double spread on us in Home Farmer? 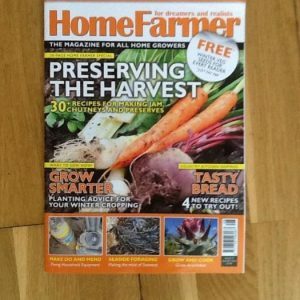 Or our article for Permaculture Magazine? 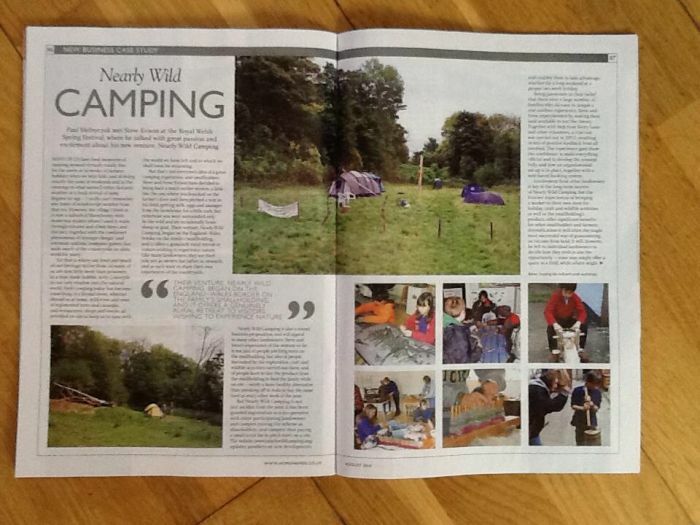 The Nearly Wild Camping article in Home Farmer magazine. This is rather cool. 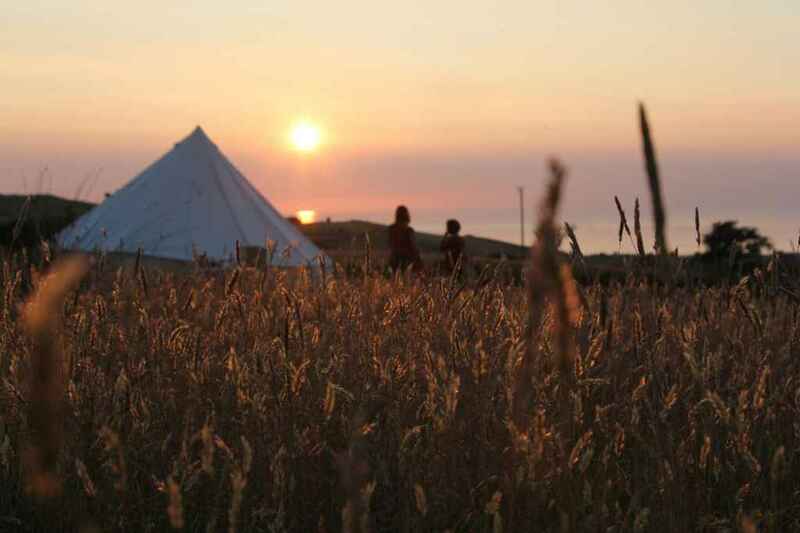 Not until a couple of years ago has wild camping and getting acquainted with other campers become so popular. 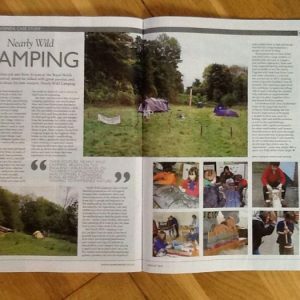 Wild camping gained more popularity indeed when aficionados decided to post their adventures online and attracted many more people. So only 10 to start for the first 100 to sign up. How do we know exactly if we are still eligible for this membership fee?